We constantly improve our qualifications. What exactly is this Scrum- known in the whole tech-world? Co-creators present Scrum itself as a simple framework for effective team collaboration and product managing. Scrum’s role is to be focused on improving software delivery. Scrum is the most common and popular methodology of product, team and project management in the IT industry. Professional Scrum certifications are recognized throughout the world as the confirmation of the highest level of Scrum knowledge. Authors of Scrum determined some guiding points of passing Professional certifications. The main purpose is that a tested person should prove his/ her knowledge, understanding and ability apply Scrum in daily work, in the real-life. To make our clients sure, that they are cooperating with the highly qualified IT-company, we provide that all of our employees gathered at least one of Scrum Professional certificates. Oracle offers a wide range of certificates that are connected with cloud applications and platform services. It’s a certified Professional Java SE Programmer (OCPJP) exam is the basic exam required to demonstrate a solid understanding of Java. Authors created a fairly detailed test of knowledge of the main features and constructs of the Java programming language. Oracle certifications are symbols of experience and expertise. Over ⅓ of SolDevelo employees achieved a certificate of Oracle Professional Java Programmer. Is here something providing that SolDevelo testers are highly qualified as well? ISTQB Certified Tester is the world’s most recognizable confirmation of testing qualifications. Being certified provides many advantages by ensuring that certified professionals meet and use the highest standards. The content of ISTQB is not limited by any methodologies or technologies and is able to take from best practices from a variety of sources, because of its disinterested nature. Multi-level certification pathway provides certified testers with the skills and knowledge they need to excel in their expanding responsibilities and to achieve the highest level of professionalism. 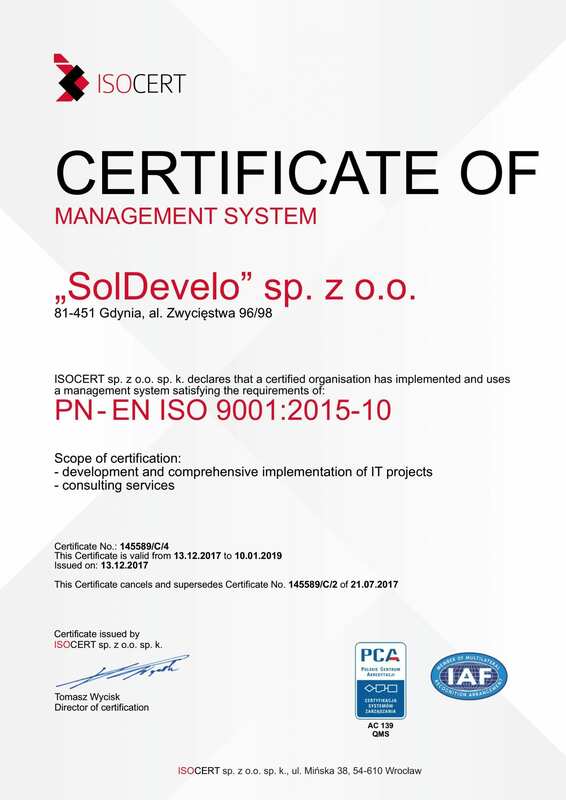 All above, answer on why we care about our testers to become ISTQB certified- we simply confirm that in SolDevelo quality is the highest value.